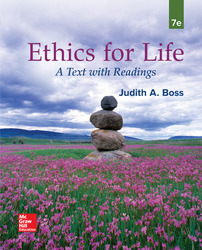 Both scholarly and practical, Ethics For Life, 7e provides a clear, well-organized overview of theoretical ethics. With a contemporary tone and framework, it aims to significantly improve students' ability to make real-life moral decisions. Multicultural coverage and attention to college students' moral development help readers relate the material to their own experience and their own moral growth.